“TO BE A LEADER YOU MUST STAND FOR SOMETHING OR YOU WILL FALL FOR ANYTHING”. One such pastor and leader is Pastro Albert Magoi; for the LT team, the trip to Buka (see story on Lasting Connection) was like a fisherman fishing with a drag net. He sees movement in the water and sees tiny ripples but has no idea of the kind and the size of the actual fish, until the net closes in and the catch is secured. 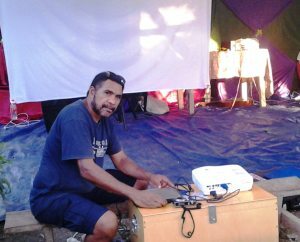 We had no idea that Pastor Albert was instrumental in the Bougainville crises as a commander, second to the popular Francis Ona. However, during the war, the Lord spoke to Pastor Albert through a local prophet to lay down arms and pick up the Bible with a message for Bougainville. The Lord confirmed his call upon Albert’s life in numerous occasions by protecting his family during the civil war. The ultimate test for trust was when the Lord took him past two Army (PNG Defense Force) checkpoints in Buka town and provided a passage out of Bougainville via CASA (PNG Defense Force Plane) to escape to Port Moresby. We praise God for such leaders who have a vision to stand for what they believe in and lead their members to new levels. 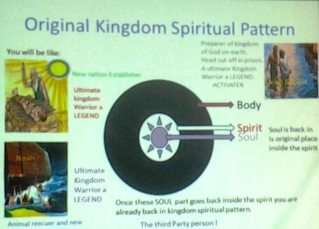 Pastor Magoi believes that the only true restoration can come from within and not from outside. 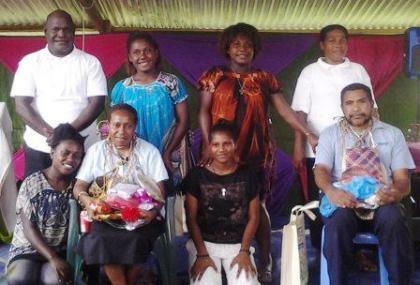 While sharing the wordings of the covenant, he stated that the Basic Computer Training is a God given opportunity and requested for training in Panguna in 2017. 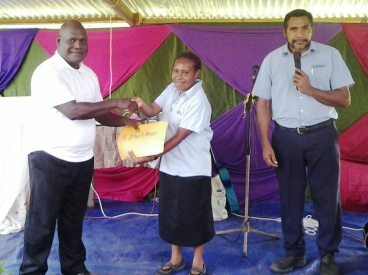 He stated that his vision to equip all the pastors from different denominations under the “God’s Kingdom Network” is the only answer to bring peace and restoration to the Island of Bougainville. We discovered our catch (Ps. Albert) as a leader who has a vision not only to restore the troubled island but preach the kingdom message via conferences to different denominations so that individual Christians can find everlasting life in God and not in churches or denominations. He added that churches are only agencies of God’s kingdom but we have established churches as kingdoms of God! “IF WE ARE TO ACHIEVE RESULTS NEVER BEFORE ACCOMPLISHED, WE MUST EXPECT TO EMPLOY METHODS NEVER BEFORE ATTEMPTED”. Buka trip will always remain as a special place in our hearts because we were shown a mass grave and you can feel the scars of the crises. 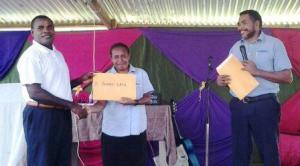 But the good news is hearing testimonies of God’s vision for Bougainville. While on a bigger picture the Lord gave us an opportunity to make an impact in the lives of the pastors who are willing to make a change by utilizing the resources available via technologies.